Bring the whole family for this monthly event! 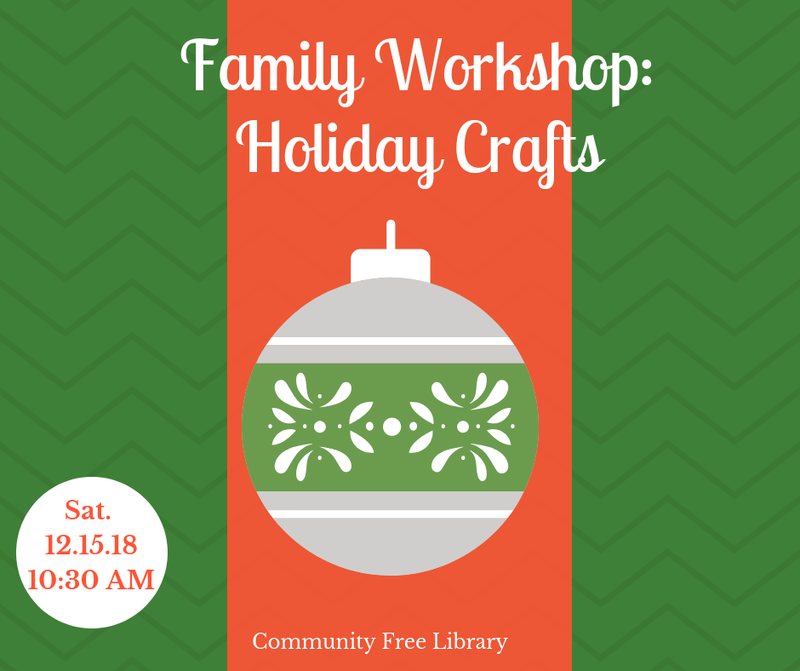 Join Miss Grace for a variety of creative and fun holidays crafts that you can take home! Registration is appreciated; please call 638-6987 or stop in to sign up!